This week, Pope Francis has instituted a new day of prayer and celebration for the Church entitled the “World Day of Prayer for the Care of Creation,” to be celebrated on September 1 each year. 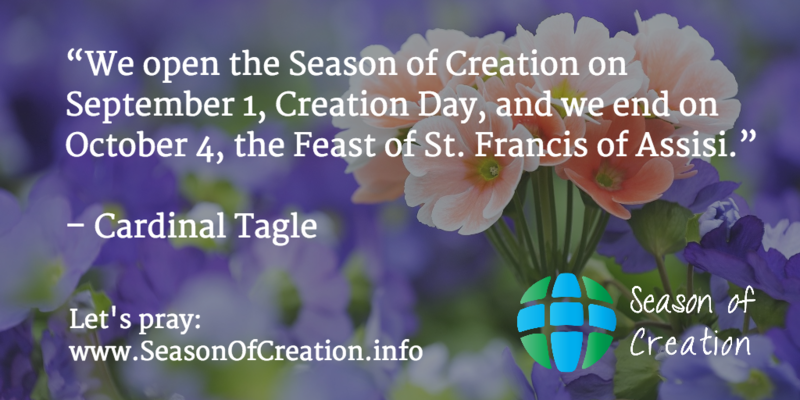 In conjunction with the World Day of Prayer, the Global Catholic Climate Movement is inviting all Catholics to celebrate the “Season of Creation” from September 1 until the Feast of St. Francis on October 4. The Season of Creation is an initiative following the example of other Christian denominations and the Catholic Bishops of the Philippines.